Razor IT Solutions can provide end to end development services for custom corporate websites and web applications. Our designers started on the development side of the house and understand how to design sites that work. Razor also provides SEO management to newly created and existing websites. We can jump into a website design or redesign project at one of two points: user experience or site design. Should you want us to shepherd your company through the user experience exercise, we will work with you to define who your audience is, what you want them to think, do and feel when visiting your site, and we will map those intentions into a blueprint for the user interface. That blueprint will become the primary input to the design phase. Should you prefer that we start at the design phase, our designers will take your requirements, then design a layout and color palette that represents your brand. The next step is to create a screen flow for the website or web application. The third key step is to build the logic to make the site work. The fourth step is to test, get user acceptance, and make the new site live. 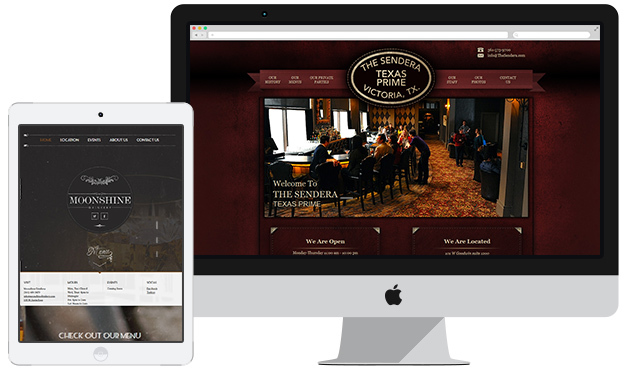 We have built web applications spanning many industries, from real estate to restaurants to IT. We have the highest quality graphic designers, application designers and developers. Razor has in-house SEO specialists available to increase visibility to your website. Our specialists will analyze the current status of your website and optimize search engine results through adjustments on your website. Give us an idea and let us exceed your expectations.